How to Retrieve Deleted Files? It is common that you accidentally delete some important files or folders and have emptied the Recycle Bin. In this case, you need one effective software that can help you recover all the files and folders. Glary Undelete is such a tool. 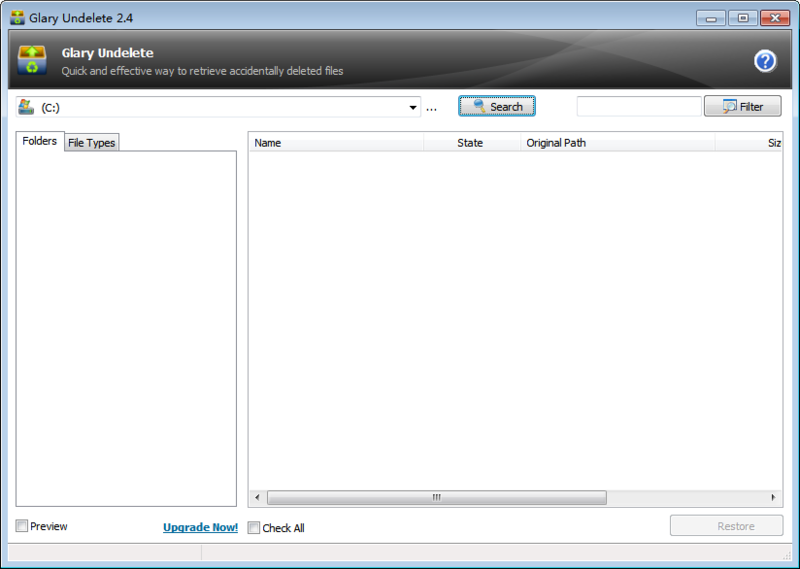 It is a free and powerful file undelete solution for FAT and NTFS file systems. It will bring back files emptied from the Recycle Bin, in a DOS window, from Windows Explorer with the SHIFT key held down. It will even recover files that have been deleted by bugs, crashes and viruses. 1. Download Glary Undelete and install it on your computer. 2.Launch the program. 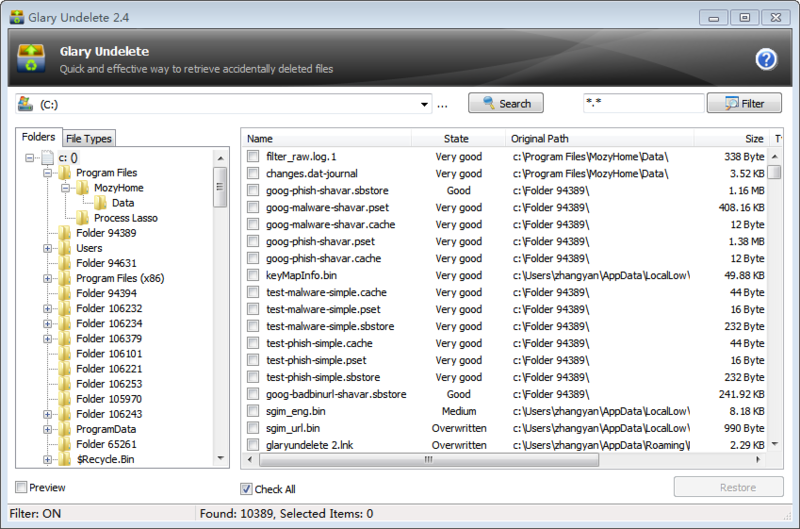 At the top, you can see a drop-down list, there you can option the disk which you want to search for the deleted files. 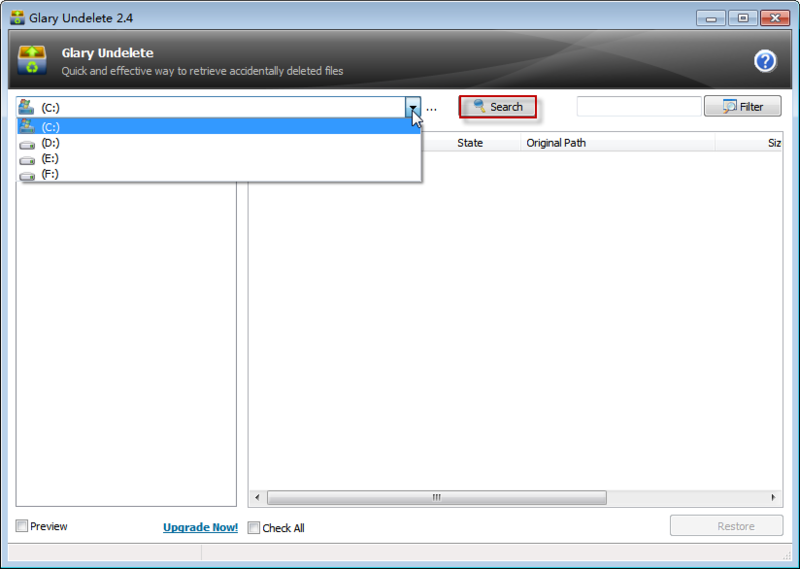 When you finish selecting the disk, you can click “search” to start the searching process. 3. 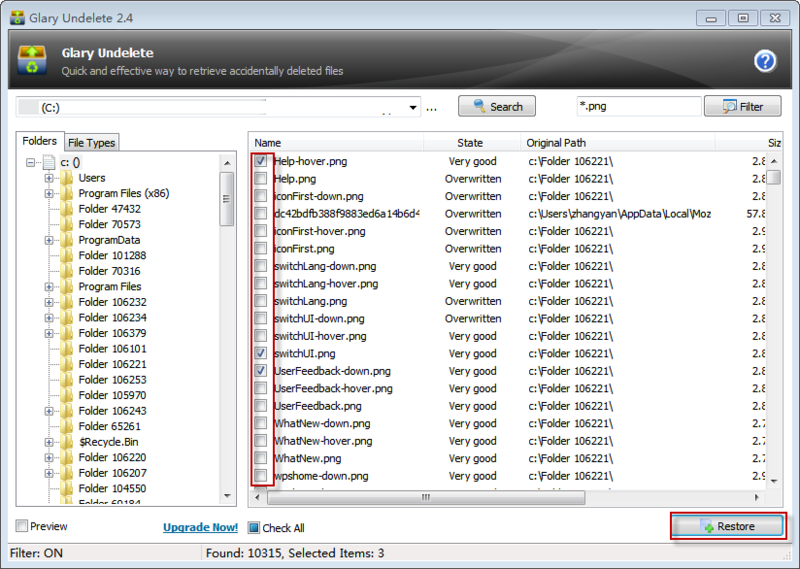 When finish searching, there will a list of files that can be recovered. 4. 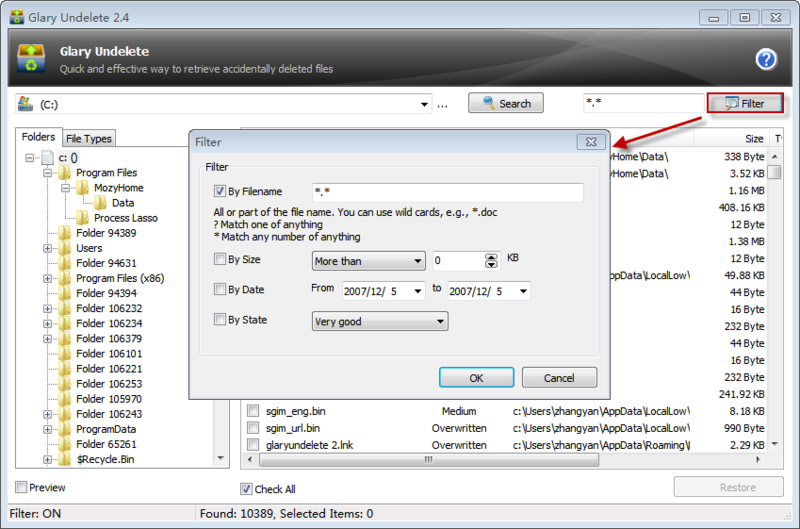 Click the “Filter”, then pops up a dialog where you can filter some files you don’t want to recover by the file types, size, date or state. 5. Check the files you want to recover, can click the “Restore” button. You’d better save the file to a different drive from the original one to increase the chance of successful recovery.